Solid brass Victorian centre door knob pull, supplied with fixings. 66mm diameter knob on 79mm back rose, projection 80mm. 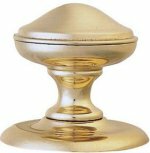 Solid brass Victorian round centre door knob pull, supplied with fixings. 73mm diameter knob on 85mm back rose, projection 75mm. 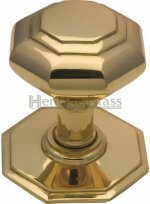 Solid brass octagonal centre door knob pull, supplied with fixings. 71mm diameter knob on 82mm back rose, projection 83mm. Solid brass Georgian centre door knob pull, supplied with fixings. 62mm diameter knob on 75mm back rose, projection 80mm. 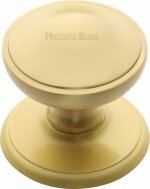 Solid brass classic centre door knob, supplied with fixings. 70mm diameter knob on 86mm back rose, projection 75mm. 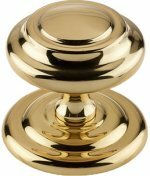 Solid brass Sloane large centre door knob pull, supplied with fixings. 102mm diameter knob on 107mm back rose, projection 100mm. Antique brass traditional centre door knob, supplied with bolt fixings. 77mm diameter knob on 79mm back rose, projection 80mm. 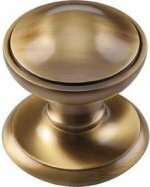 Satin brass traditional centre door knob, supplied with bolt fixings. 77mm diameter knob on 79mm back rose, projection 80mm. 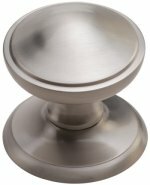 Satin nickel traditional centre door knob, supplied with bolt fixings. 76mm diameter knob on 82mm back rose. 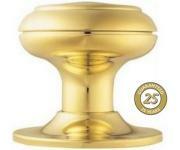 Large centre door knob, cast in solid brass, diameter 100mm on 90mm back rose, projection 95mm. 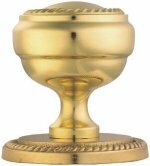 Available in Polished Brass, Polished Chrome, Satin Chrome & Florentine Bronze. 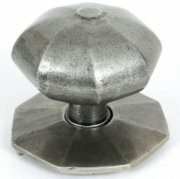 Solid brass square centre door knob pull, supplied with fixings. 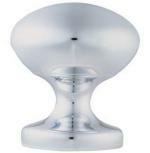 Base 89mm, knob 76mm, projection 72mm. 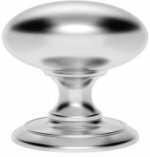 PVD centre door knob, size 74mm diamater knob on 80mm back rose, projection 75mm. 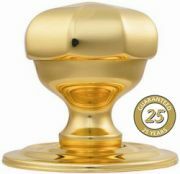 PVD brass octagonal centre door knob, 64mm diameter knob on 79mm back rose, projection 75mm. 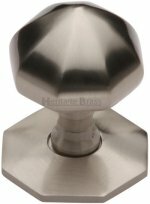 316 grade stainless steel centre door knob, 70mm diameter knob on a 70mm diameter back rose. 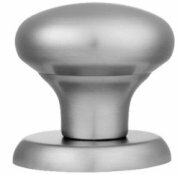 Solid brass centre door knob pull, supplied with fixings for face fix or bolt through options. 70mm diameter knob on 55mm back rose, projection 80mm. An imposing yet decorative pewter patina centre door knob designed to match the range of Octagonal door furniture. This product makes a statement on any type of front door. 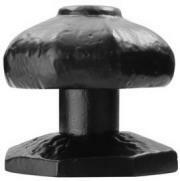 The loose rose has two locating studs which help to engage the product with the wooden surface to provide strength and a rigidity needed for such an item.